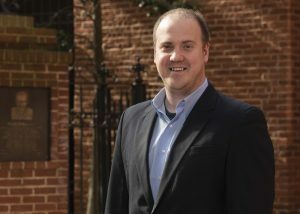 Dana Hanchin, President & CEO of HDC MidAtlantic, announced the promotion of Andrew Dunn to Facilities Manager, Heather Haverstick to Resident Services Manager and Ian Rawhauser to Assistant Director of Real Estate Development. As Facilities Manager, Dunn is responsible for assisting with HUD REAC inspection preparation, facility project management (for small to large projects), maintenance technician training, on-call system management, procurement guidance and site visits for asset management. 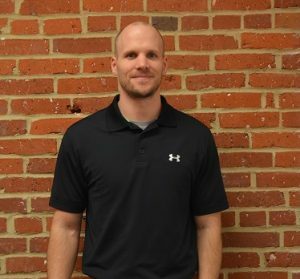 Dunn previously served as a Maintenance Technician for two years at three HDC MidAtlantic properties in Lancaster County. As Resident Services Manager, Haverstick is responsible for managing a staff of Resident Services Coordinators, who work to provide access to information, services and resources to encourage resident growth, independence and stability at 38 HDC MidAtlantic properties located throughout Pennsylvania. The organization’s Resident Services program is designed to strengthen the mental, physical, financial and emotional well-being of our residents and communities by building relationships and partnerships both within the organization and the communities we serve. 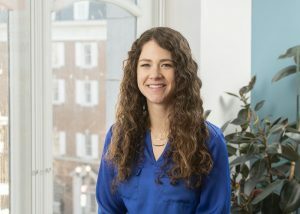 Haverstick previously served as HDC MidAtlantic’s Resident Services Supervisor for two years, a role she welcomed after serving as a Resident Services Coordinator with the organization for four years. Haverstick earned her bachelor’s in psychology from Houghton College in Houghton, NY. As Assistant Director of Real Estate Development, Rawhauser will work with senior leadership to build a long term real estate development strategy that will ensure the organization’s financial and mission sustainability. This includes identifying new development opportunities in the MidAtlantic region, strengthening HDC MidAtlantic’s current portfolio and managing relationships with development partners, investors, financial institutions and government agencies. Rawhauser began his career at HDC MidAtlantic as an AmeriCORPS VISTA volunteer in 2009. He then joined the Development department where he’s held positions as an Analyst, Project Manager and Senior Development Officer before assuming his current role as Assistant Director. Since joining the Development team, he has successfully closed 12 developments generating over $120 million in economic activity and grossing over $10.5 million in developer fees. His experience includes closing multiple 9% LIHTC New Construction & Preservation projects, as well as three 4% LIHTC/Tax-Exempt Bond projects throughout Pennsylvania and Delaware. Rawhauser earned his bachelor’s in economics from Bucknell University in Lewisburg, PA.